Mini burgers, known by many as sliders, is one of the hottest little food trends that swept the nation. Half the size of a classic burger, yet twice the fun. 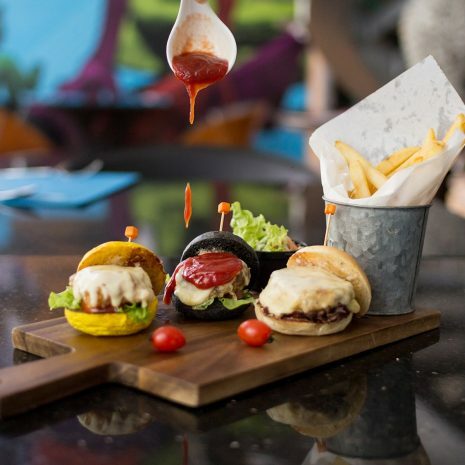 Topped with traditional condiments, sitting on mini-burger buns of different colours, our cheesy sliders are irresistible.